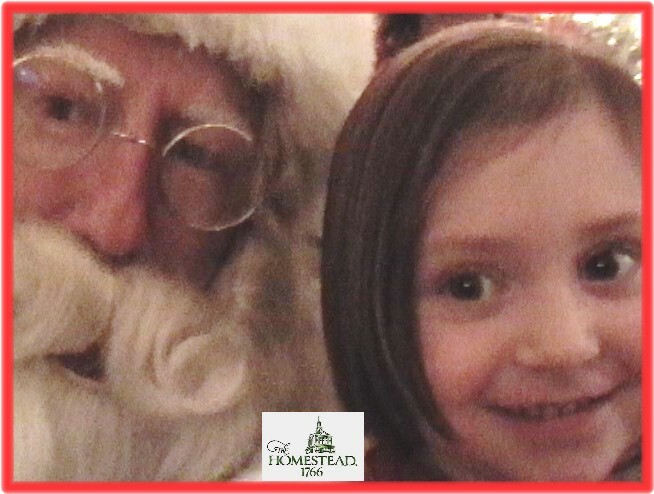 Santa, at The Omni Homestead 1766 Resort! 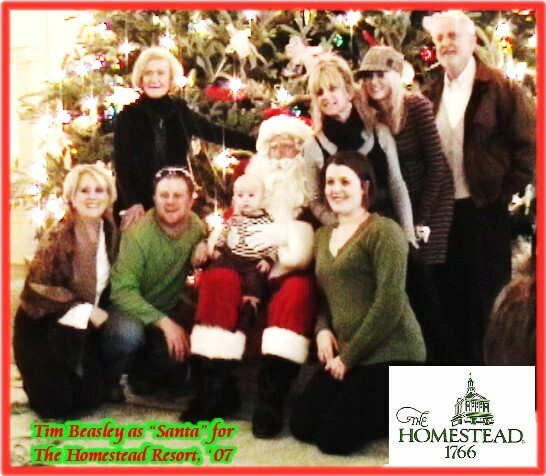 It's just not the Christmas season without Santa or Scrooge...in fact, it's impossible! 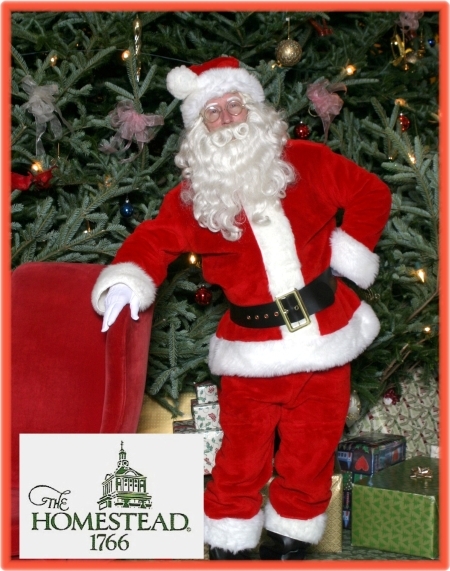 There's always a place for the jolly man in the red suit to join in the holiday sales events and any corporate, civic or private parties celebrating the fun of Christmas. 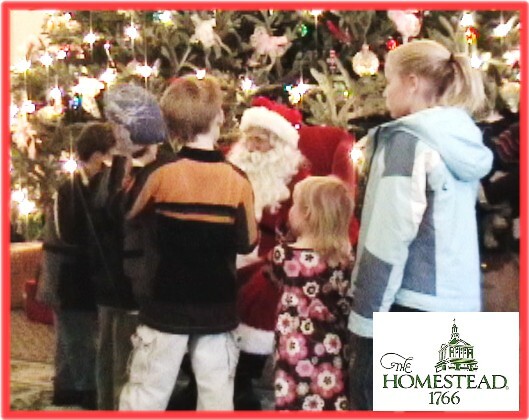 Our Santa has entertained thousands of kids and adults over the years, and has been the featured "Santa appearance" at such grand places as the stately and majestic world famous Five-Diamond golf, ski & spa, The Omni Homestead 1766, in Hot Springs, VA, a historic landmark of the Blue Ridge Mountains. 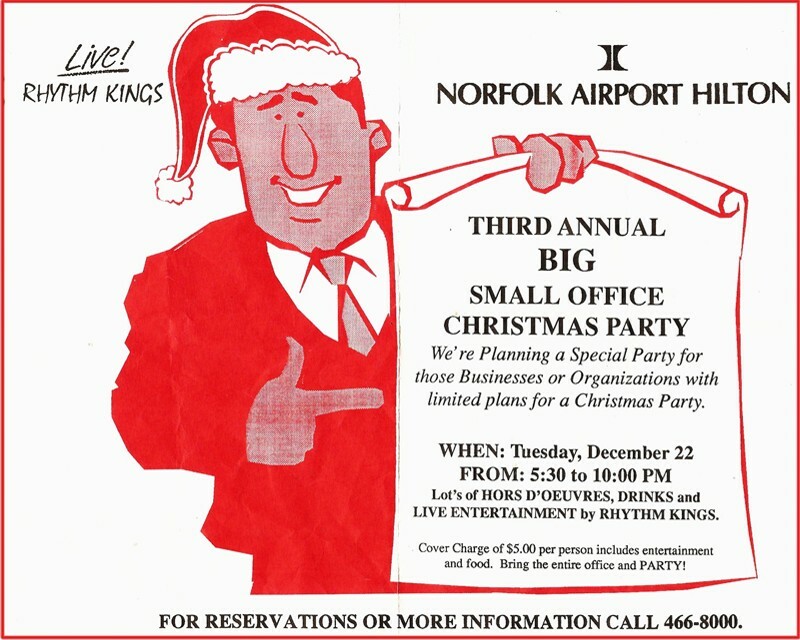 Our Santa Claus has also entertained for the Airport Hilton, Norfolk, VA, for the "grown-ups" at their fun "Small Office Christmas Party" promotion...also the Waterside Festival Marketplace at the Norfolk VA waterfront, and for sporting events. 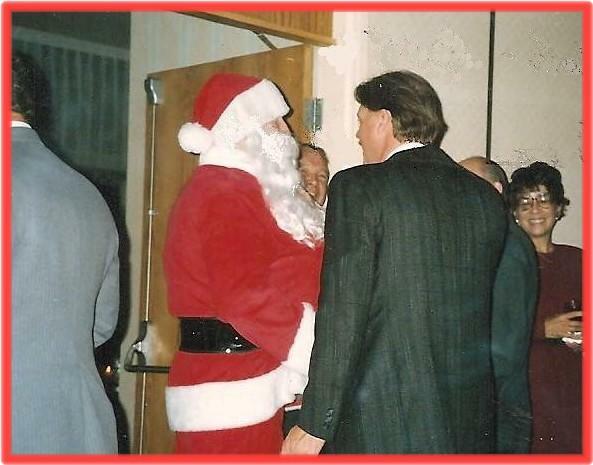 He's also been the featured voice of Santa for the nationally syndicated 'Ho-Ho Hotline," a Landmark Communications newspaper phone service that had a new episode daily about the adventures of Rudolf the red nosed reindeer! "Superstar Santa" is just a little bit further down! 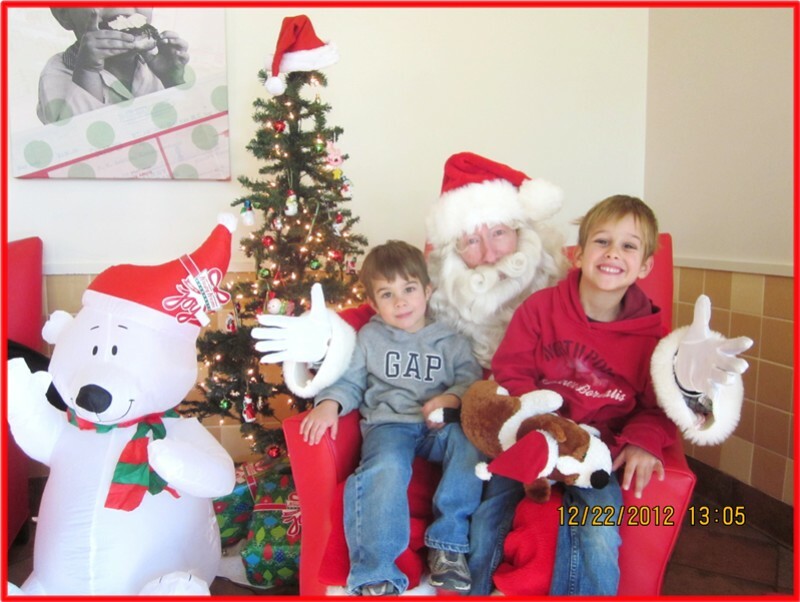 The Waterside Norfolk, VA had Santa come visit the kids in July, and so did the sports team below! 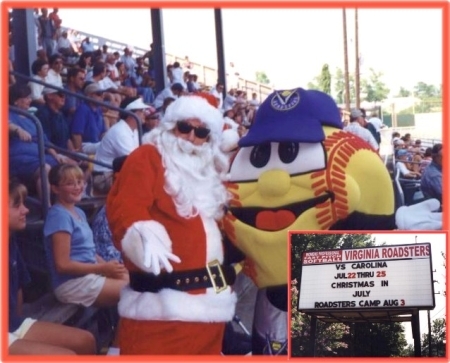 Santa at VA Roadsters game, Christmas in July promo...in fact, you can have Vegas Tributes Santa anytime you want some "Christmas cheer!" 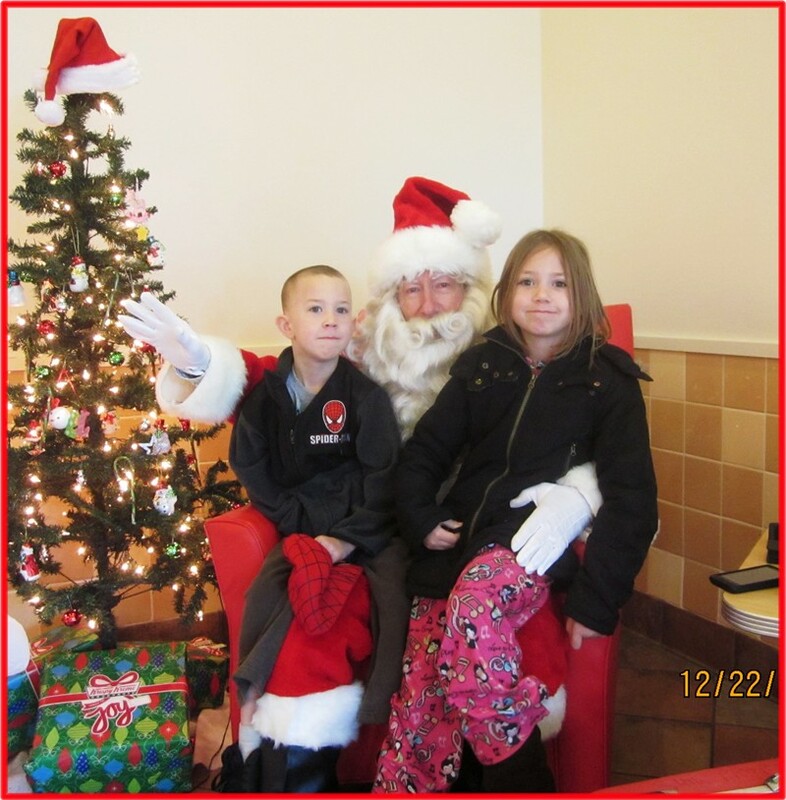 Here's a very recent photo of our Santa with a lady that he just surprised at her job with the news she's going to be a grandma again, and the baby is due around Christmas! Who hasn't watched "A Christmas Carol" at least once, twice, thirty times? 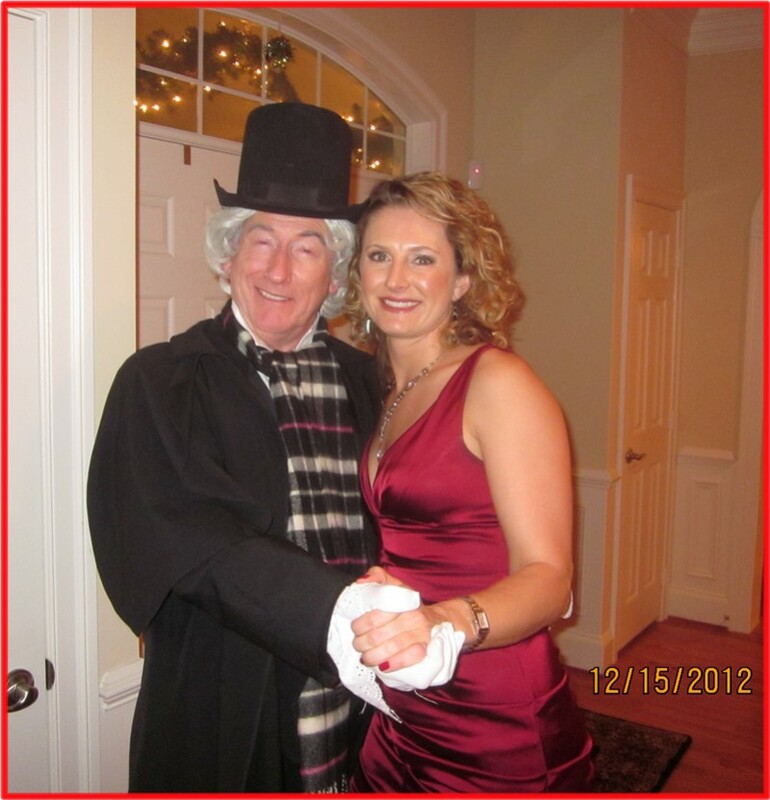 "Ebenezer Scrooge" is as famous and popular as any pop star around Christmas! 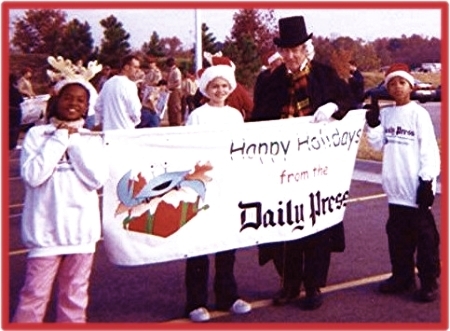 As a signature "Christmas Celebrity," our Scrooge is a "happy" Scrooge, filled with the joys and fun of Christmas....remember how happy he became after his night with the 3 ghosts of Christmas? 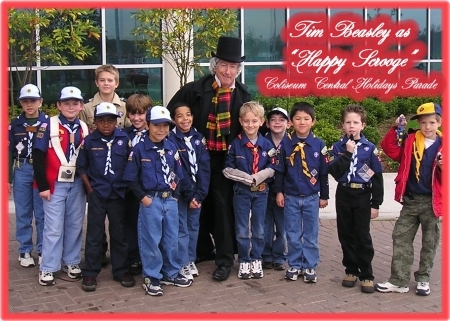 Just right for any public or private Christmas holiday season event, he comes dressed out in his "Charles Dickens" best, of old Victorian swallowtail tux, stovepipe hat, crooked cane, neck scarf and more! 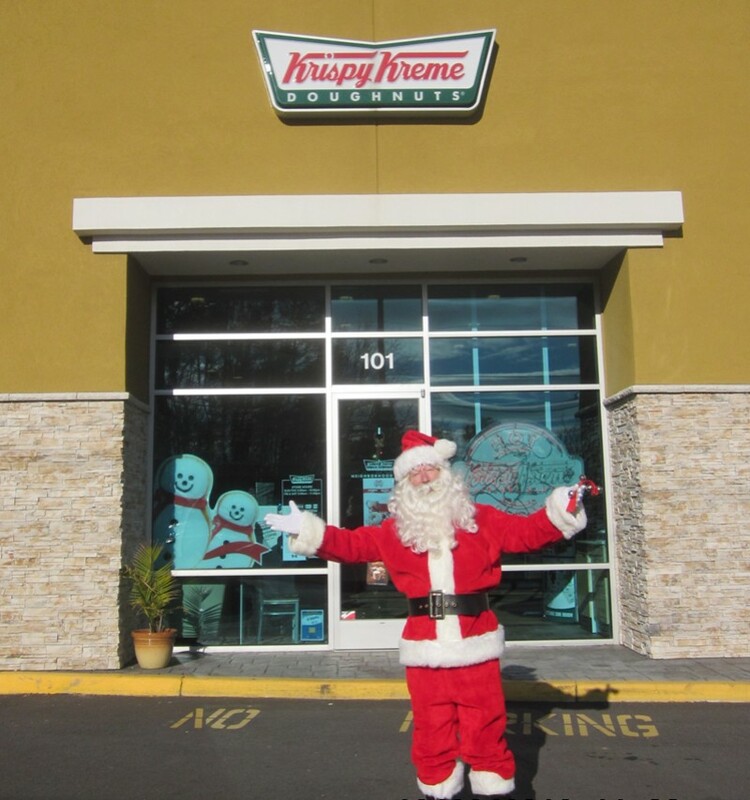 Have him give out candy, coupons, and everyone loves getting photos with him and getting to say "Bah, humbug!" 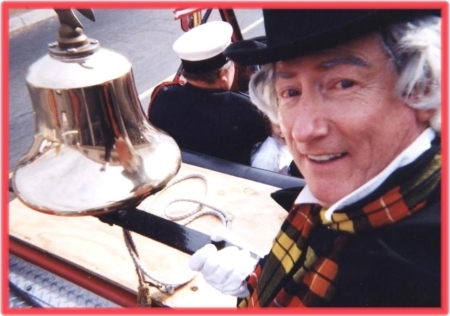 Scrooge gets to ride the antique fire engine and clang the bell during the parade! 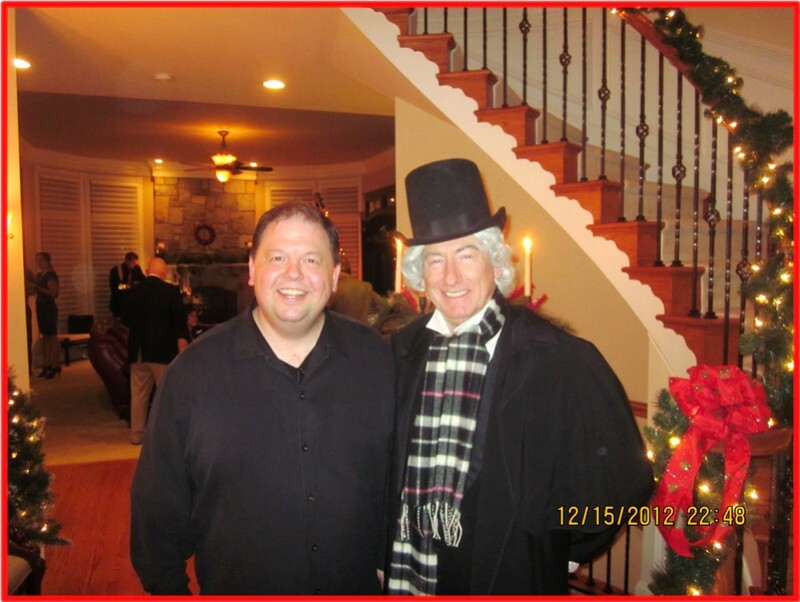 Scrooge also reenacts and recites his part from the classic "A Christmas Carol." 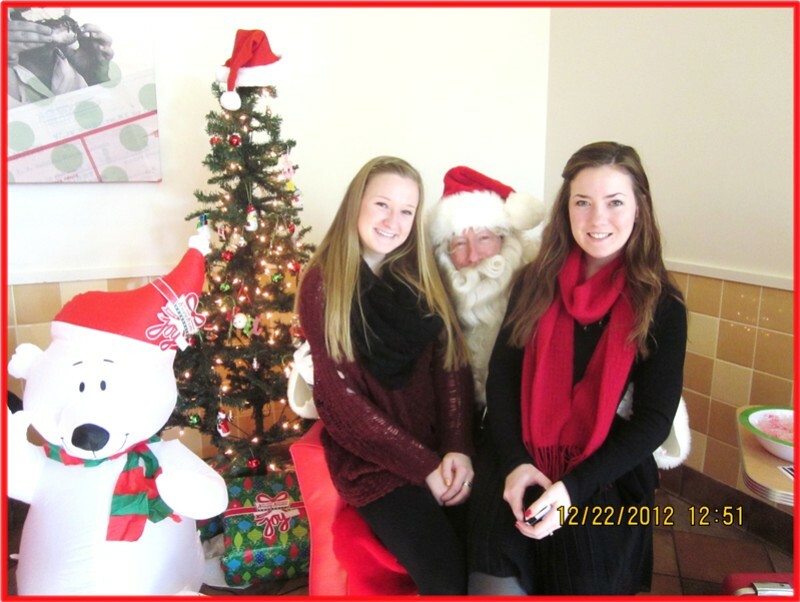 Book Santa and Scrooge now for the Christmas Season!!! 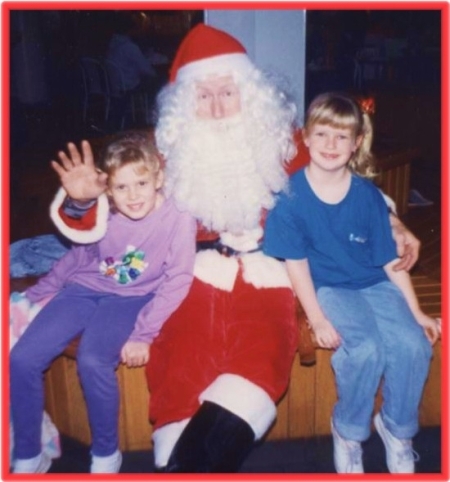 ,,,AND NOW, HERE'S THE "SUPERSTAR SANTA" SURPRISE! Tim "Santa" Beasley is also a national variety musical tribute performer - impersonator in full details as “The Martini Men, ” Frank Sinatra, Dean Martin, Tony Bennett, Bobby Darin, Andy Williams, Paul Anka, Rod Stewart, Neil Diamond, Tom Jones, Elvis, Buddy Holly, Jim Morrsion, Roy Orbison, John Lennon, Jerry Lee Lewis, Kenny Rogers, Gene Autry and Willie Nelson!” In this sense, after "Santa's" armchair sit down, it's always a grand surprise to the adults who find for example, that "Dean Martin' or any of the Superstars of your choice is under the Santa suit, and comes out in their full tribute detail and actually sing Christmas classics and their own hot hits! 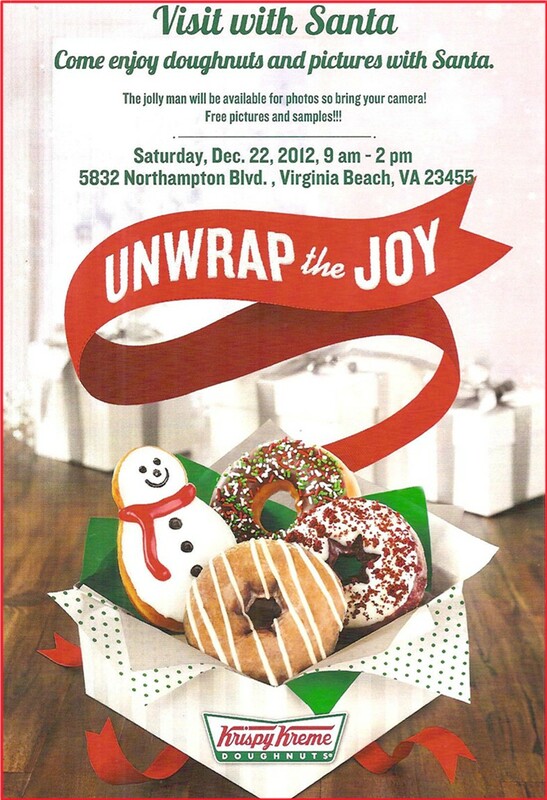 What a surprise and everyone loves this!!! Please call...we love to talk! 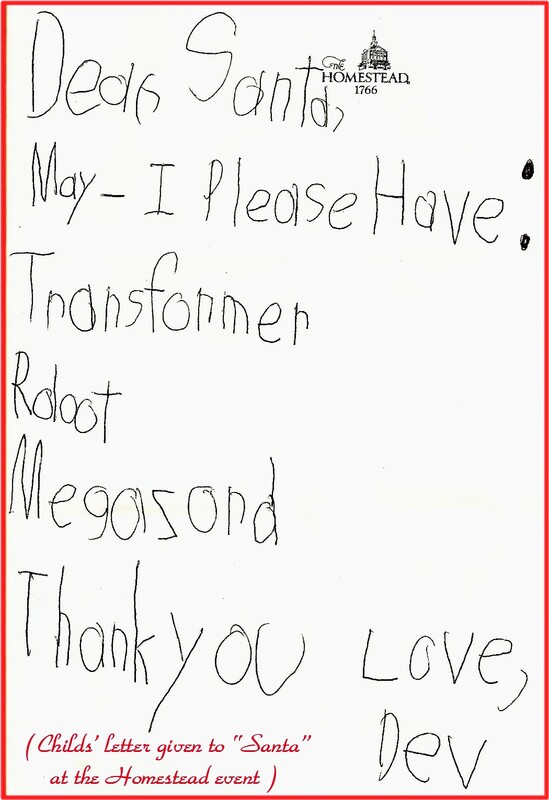 ...and you can text, too!!! 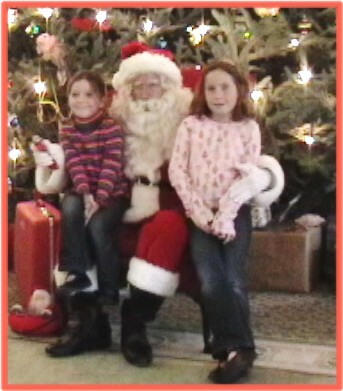 Santa, Santa Claus, North Pole, Christmas, parties, photos, store events, corporate appearances, sales events, parades, adverisements, tv commercials, radio commercials, print ads, personal appearances.